You’ve figured that mobile app marketing is going to cost you some time and money. But, is it really worth it? How will you track its effectiveness to determine the consequent ROI? The answer is very simple- through a systematic set of analytics that measures all the variables relevant to the marketing process. Marketing is a tool for building relationships, engaging both social and technical strategies. That makes it exceptionally dynamic, as opposed to the app development process. Relationships that are meant to be built are not guaranteed. And even if you manage to successfully build a couple, each will be unique in its own way. To effectually capitalize on them, therefore, you have to get a sense of how things are going. Who is interested in your app? Why are they downloading it? Are they even using it after installation? How has the latest keyword adjustment improved the number of downloads? Such questions will help you determine what’s working and what’s not. As a result, you’ll be able to adjust not only your marketing, but also the app for the best possible results. Sounds good. But, there’s only one problem. It’s easier said than done. On paper, measuring the impact of the app marketing services may seem like a comparative analysis of income you’ve generated after engaging different tactics. We wish it was that simple, because probably then would mobile app marketing cease to be exceptionally challenging to developers. Measuring mobile app marketing goes deeper than just the income. It systematically breaks down the overall effect into sophisticated but holistic analytics that tell the whole story. As a result, you’ll be able to comprehensively assess the impact from all possible angles. Like, say you’d like to compare App Store Optimization with your viral marketing tactics on social media. Individual analytics on consumer behavior will give you comprehensive information on ROI and response patterns. And that’s the most critical requirement for further developing additional engagement frameworks that respond to the actual market situation. As we’ve mentioned, marketing is largely social. That’s one of the primary reasons why measurement is exceedingly challenging. It’s difficult to critically assess, for example, how much users love your app. As a matter of fact, only 26% of marketers across all industries are able to methodically track their strategies, and subsequently measure overall impact. Thankfully, PreApps is one of them. So we’ll help you catch the gist of things, starting with two terms that many industry players often use interchangeably- app marketing analytics and in-app analytics. Mobile app marketing analytics are used to analyze the “big picture” by providing a detailed outlook of the individual channels being leveraged. In-app analytics, on the other hand, is only concerned with elements within the app. It provides data on app performance and user interaction, without expounding on other aspects beyond the precincts of the app itself. For the best possible results, each marketing campaign is a collection of different prelaunch app marketing and post-launch promotion tactics working in tandem to reach out to a wide market. To define the whole concept of analytics, think of marketing as a regular student in school. And since they are the architects of the whole process, think of marketers as tutors. Usually, a student’s grasp of the whole curriculum is periodically evaluated through exams administered by the tutor. That’s essentially how app marketing analytics operate. Marketers engage analytics to review the sharpness of the whole marketing campaign, in the same manner that teachers administer exams. While it’s possible to assess everything in one paper, a tutor will split exams into the respective subjects then award a final grade based on the collective average. Similarly, marketing analytics will delve into the individual marketing tactics, assess them separately, and then give you a big picture of the whole performance. The more detailed the analytics are, the better your chances of readjusting your strategies for better results. 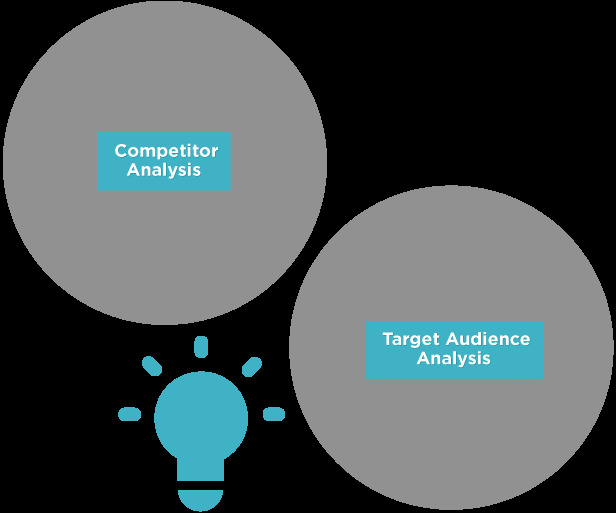 That’s why we consider not only target audience analysis, but also competitor analysis. While the importance of comprehending the performance of your marketing campaign can never be overstressed, you should also be concerned about what comes next. Marketing will drive traffic to your App Store page and convince people to download your app. But, how do they find it afterwards? In-App analytics will give you an insight into how your app is performing, and how users are interacting with it. The resultant set of indicators is completely different compared to variables employed in marketing evaluation. And sometimes not even related at all. Take a look at the following example on in-app analytics, looking into the average amount spent by app users across different continents. You can have a fairly effective marketing campaign with correspondingly impressive scores on your marketing analytics, then generate contrastingly poor in-app analytics scores. The vice versa is also possible. But no app developer wants to be in such unfortunate scenarios. The best case scenario for any app is positive scores on both sides of the spectrum. That translates to good marketing ROI, supplemented by equally remarkable app revenue. To help you achieve this, PreApps combines both to assess marketing and overall app performance. Another set of terms you’ve probably heard being mentioned quite often in the app tracking space is app marketing metrics and Key Performance Indicators (KPIs). It may seem like one and the same thing- because metrics are performance indicators, right? Technically, metrics are performance indicators. It’s also true that performance indicators are metrics. But adding the term “key” sets them apart. All App Marketing KPIs are actually metrics, but not all metrics qualify to be KPIs. Key Performance Indicators is a special level of recognition reserved only for a unique set of metrics that are exceptionally critical to the overall performance of your mobile app marketing campaign. While some metrics, like the number of app downloads, are applicable as KPIs across the board, there are no industry rules on what qualifies, and what doesn’t. Your choice of KPIs depends on your specific situation and targeted goals. For instance, an app that has embedded global geo-location marketing features as a revenue source might use Reach-Per-Country as a KPI. Another one that is only available in the US, on the contrary, would only be concerned with U.S downloads as a KPI. Acquisition is the whole process of driving users to your App Store page, then convincing them to download the app. As a metric, this encompasses not only the number of downloads, but also your users’ profile, source, and response rate. If you define the type of users your app is attracting, you’ll be in a better position to dictate the target niche, before ultimately aligning marketing strategies around it. Similarly, assessing where the bulk of your users are coming from (like app review sites) should help define your most effective marketing strategies, and fertile platforms for prospective users. The number of downloads and the corresponding rate of installation, on the other hand, is a useful indicator of your app’s performance against the competition. 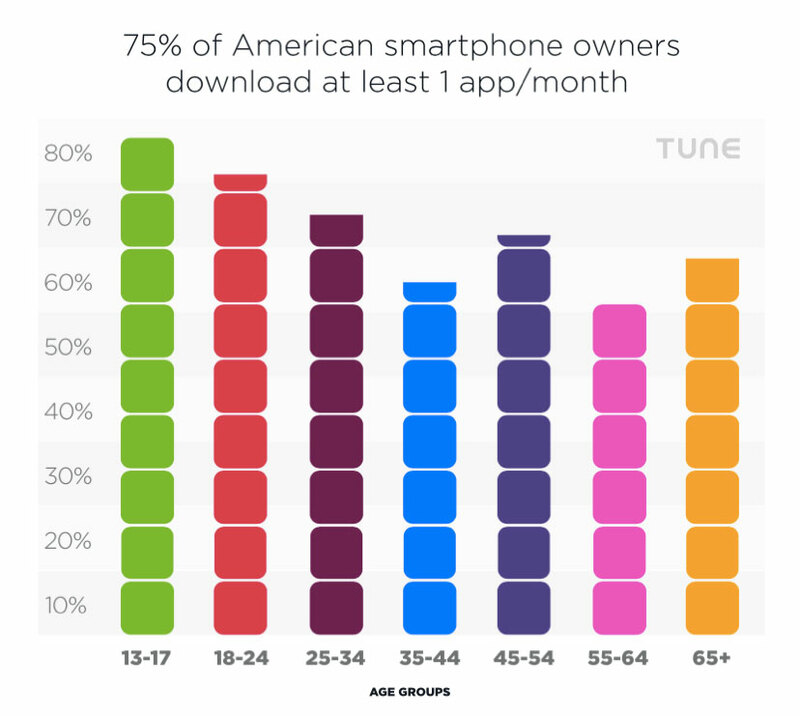 If your app is built for users based in the U.S, for instance, you should be seeking to surpass the average rate of at least 1 app per month for 75% of smartphone users. Activation is what comes after installing the app. It defines the number of users who proceed to actually use your app after download and installation. In addition pre-download engagement elements like the app demo video, activation rate largely depends on the value your app provides. The activation rate is essentially the number of users your app had the chance to make a first impression on. This is, by far, the single most relevant metric that defines longevity/long-term success of your app. It refers to the number of users who repeatedly come back to your app over the long haul. While activation is mostly centered on the first impression, retention is largely determined by the value your app repeatedly offers to its users. A high retention rate means users are loving the app, and finding it increasingly useful in their daily lives. A low one, on the contrary, means that your app is barely providing value to its users. So, what exactly is a low retention rate? As of 2017, the average user retention rate stood at 37% in the first 30 days, 27% in 2 months, and 22% in 90 days. Anything below that, therefore, is a relatively low retention rate. The overall reach of an app is not only dependent on the direct promotion strategies engaged by marketers. Strategic marketing also capitalizes on existing users, by leveraging them to distribute news or the app itself. Referral analytics measure this through assessment of the ratio of users who share the app, or refer their acquaintances. To maintain a high referral rate, offer thoughtful and alluring enticements for every referral/share that translates to a successful installation. Retaining a user over the long haul essentially translates to an opportunity to repeatedly generate revenue from them. This is evaluated through the lifetime value, which is the total revenue generated by a user in the entire life cycle of app usage. While an app like Uber calculates lifetime value according to amounts spent by its users, Facebook evaluates it according to revenue generated from ads viewed by respective users. A good way to maximize lifetime value is offering redeemable loyalty points for value generated by each user. If paid ads were part of your app marketing, you’d want to understand their consequent value in terms of money spent for every user they generate. Cost Per Install, otherwise commonly referred to as CPI, is evaluated by dividing the total amount of money spent on ads by the number of resultant app downloads. Cost Per Loyal User, on the other hand, refers to the average amount of money spent on ads for each consequent retained user. It’s established by dividing the total expenditure on paid ads by the number of acquired users who repeatedly use the app. Therefore, to adequately examine the overall ROI of the paid ads, compare the CPLU with the average lifetime value per user. Measuring mobile app marketing goes deeper than just the income. It systematically breaks down the overall effect into sophisticated but holistic analytics that tell the whole story. Only 26% of marketers across all industries are able to methodically track their strategies, and subsequently measure overall impact. Mobile app marketing metrics refers to a data points that are used to establish the actual performance of each of the marketing segments. Key Performance Indicators is a special level of recognition reserved only for a unique set of metrics that are exceptionally critical to the overall performance of your mobile app marketing campaign. Acquisition is the whole process of driving users to your App Store page, then convincing them to download the app. Activation defines the number of users who proceed to actually use your app after download and installation. Referral analytics measure growth through assessment of the ratio of users who share the app, or refer their acquaintances. Lifetime value is the total revenue generated by a user in the entire life cycle of app usage. Cost Per Install, otherwise commonly referred to as CPI, is evaluated by dividing the total amount of money spent on ads by the number of resultant app downloads. Cost Per Loyal User, on the other hand, refers to the average amount of money spent on ads for each consequent retained user. Which other metrics do you think would be important in context of your app? Mobile App Organic Vs Paid Mobile App Advertising: Which Is More Effective?